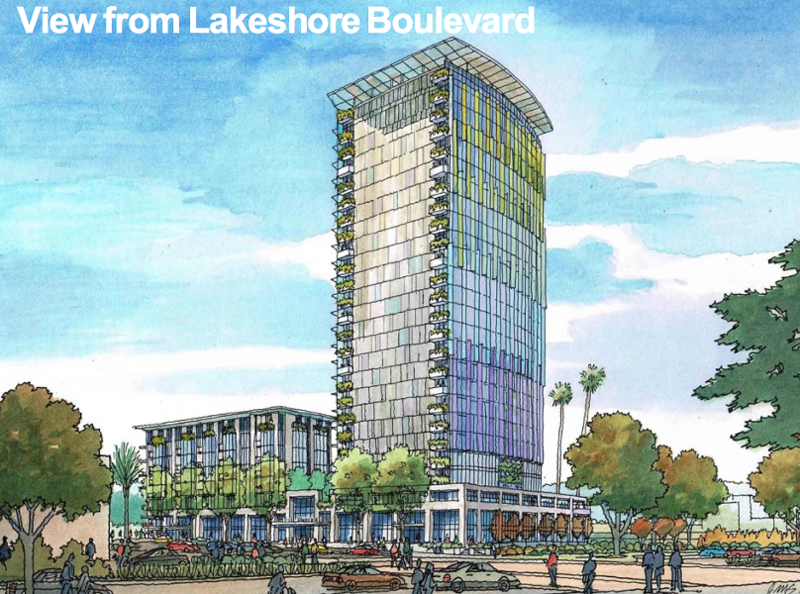 The city of Oakland is poised to approve this Tuesday a long-disputed development project on one-acre of city-owned land near Lake Merritt. But the Express has uncovered new information that suggests Oakland City Council President Lynette Gibson McElhaney's prior votes in favor of the project led to her husband securing a valuable subcontract with the developer. 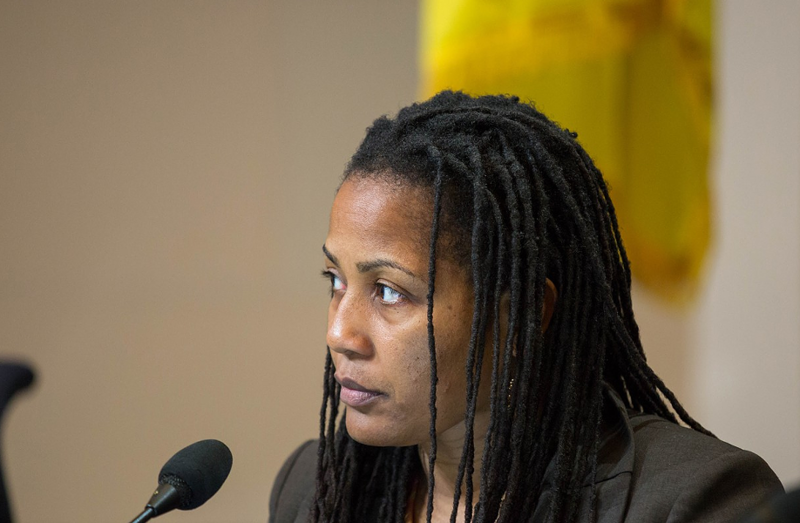 The possible conflict for McElhaney dates back to June 25, 2013, when she voted with the rest of the Oakland City Council's community and economic development committee to approve an exclusive negotiating agreement with UrbanCore to develop the city land known as the E. 12th Street Remainder Parcel. But after McElhaney’s vote, and while the city was in negotiations with Urbancore over the land, her husband, Clarence McElhaney, was paid thousands of dollars by the developer to conduct a survey of the property. According to public records, Clarence McElhaney works for KCP & Associates, an Oakland engineering and design firm. In 2014, KCP was hired by UrbanCore to work on the E. 12th Remainder Parcel. Reached by phone at KCP offices today, Clarence McElhaney told the Express that KCP was paid approximately $4,000 by UrbanCore in 2014 for the work, and that he personally conducted the survey. He also said that his wife was probably unaware that he worked for UrbanCore on the E. 12th project at the same time she and the rest of the city council were engaged in exclusive negotiations with the developer over the property’s sale. "She doesn’t know who I work for," he said. "I don't get into the politics of the land." When asked if he thought his business dealings with UrbanCore might present a conflict of interest for his wife, McElhaney accused the Express of "harassing" him and his family. Evidence of Clarence McElhaney's business dealings with UrbanCore were buried hundreds of pages of public records released by the city last year. Clarence McElhaney personally handled the survey job for KCP, but he couldn't gain physical access to the property because of a locked gate. On May 5, 2014, he emailed Brad Flewellen of UrbanCore to ask for help. Flewellen then sent his email to Michael Johnson, the president and CEO of UrbanCore, who requested help from city officials to resolve the issue. Lynette Gibson McElhaney never publicly disclosed that her husband worked on the E. 12th project for UrbanCore on her economic-interest statement. While it's unclear whether she is required to do so, what is clear is that her husband benefitted from UrbanCore's contract with the city. She did not recuse herself from multiple other votes the council has made deciding the fate of the city-owned land, and whether UrbanCore will ultimately be able to purchase it. For the calendar year 2014, she disclosed in official forms that her husband was "self-employed," and that he earned between $2,000 and $10,000. She added that her husband was also earning income between $10,000 and $100,000 from a company called KCP. In her most recent disclosure form, Lynette Gibson McElhaney again wrote that her husband was paid between $2,000 and $10,000 by KCP, and also that he is "self-employed." According to city records, Wiley Pierce, an employee of KCP, gave Lynette Gibson McElhaney a $250 campaign contribution in January 2014. According to state records, KCP was incorporated in 2013 by a Karl Pierce. Other councilmembers have recently recused themselves from city business because of potential conflicts of interest. For example, Councilmember Rebecca Kaplan abstained from all recent votes involving UrbanCore because she received a $100 campaign contribution from the company's CEO Michael Johnson in October 2014. Lynette Gibson McElhaney did not respond to an email seeking to discuss these matters, and her office staff did not answer multiple telephone calls. The E. 12th Street parcel has a track record of controversy. The deal with UrbanCore had been criticized by neighborhood activists as a "no-bid" violation of state law, because the city did not first offer the land to affordable housing developers. And, last year, a leaked legal memo by the city attorney indicated that council was poised to violate the state Surplus Land Act if it approved a no-bid deal with UrbanCore. The city council subsequently canceled its proposed deal and allowed other developers to bid on the land. But earlier this year, UrbanCore was again chosen as the developer in a joint bid submitted with the affordable housing developer EBALDC. On July 5, Lynette Gibson McElhaney voted to approve the final sale of the land to UrbanCore and EBALDC. The second and final vote for the ordinance to sell the land to UrbanCore is scheduled for this Tuesday.